I’ve shared this poem before, one I penned a couple of years ago as my own take on hope after reflecting on Emily Dickinson’s “Hope is the Thing with Feathers”. It seems that the euphoria *and* the pain of hope are recurring themes in my life, and sharing this poem again only serves to echo that cycle. Perhaps you can relate? ETA: Oh! 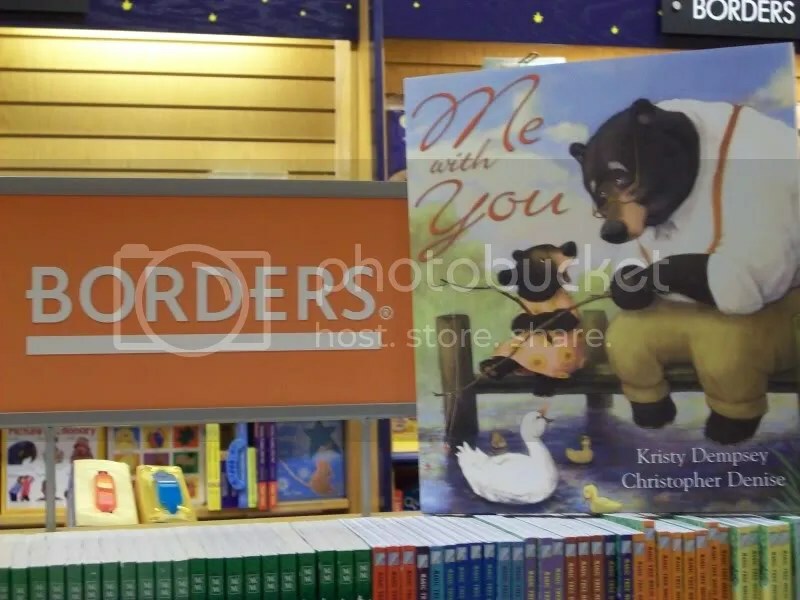 I forgot to say that ME WITH YOU is the Poetry Friday Picture Book of the Day over at Anastasia Suen’s six traits blog! Shield your eyes for an onslaught of cuteness, people! 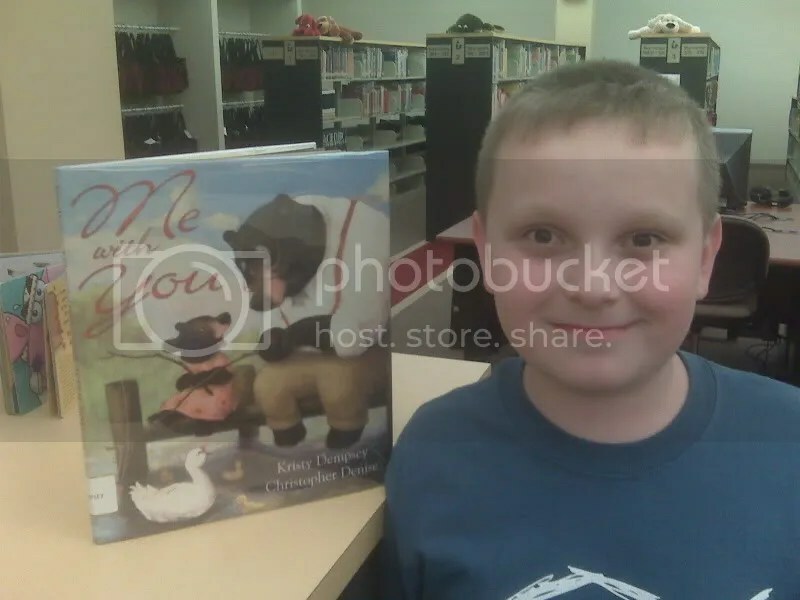 This is my high school friend’s son, S, who found ME WITH YOU at the Pickens County Library in South Carolina. (CUTE + plastic wrapping and a library tag) X CUTER = AMAZING!!!!!! Who needs Vanna when you’ve got these two? I’ve had a really rough night and day with some crazy stomach virus going on. Not feeling much better, but wanted you to see these pics that brought me joy on a not so joyous day. 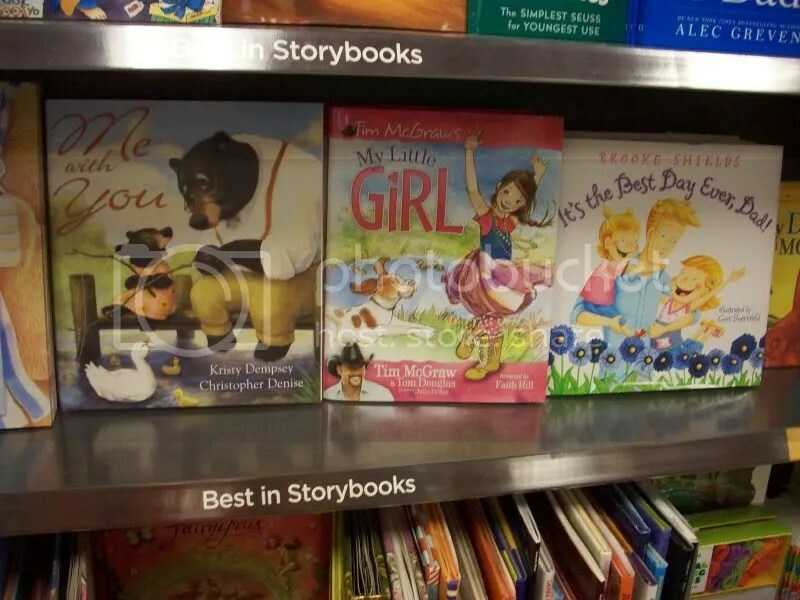 There’s still time to enter the contest if you find ME WITH YOU on your bookstore shelves! 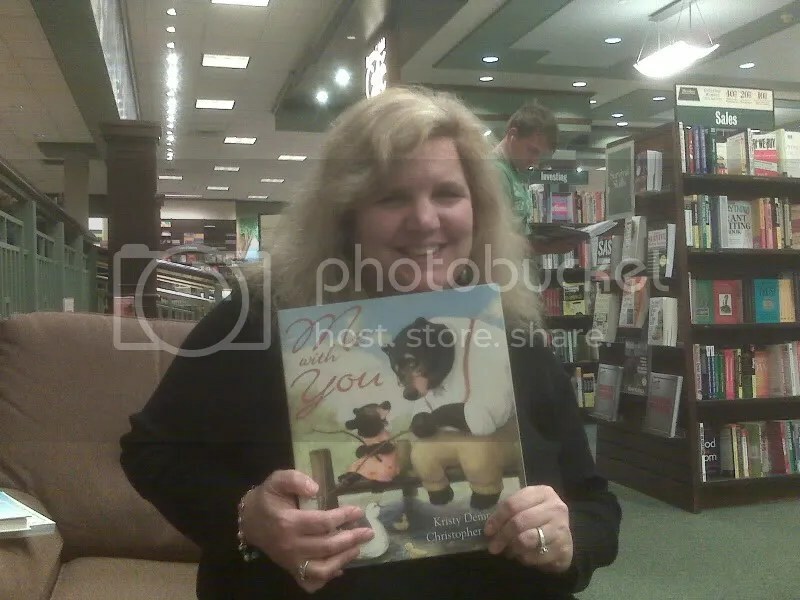 Two dear friends in GA In Borders* * * * * * * * * at Mall of GA * * * * * * * * * * * * * * ** Pam Ross in Long Island! it’s there! 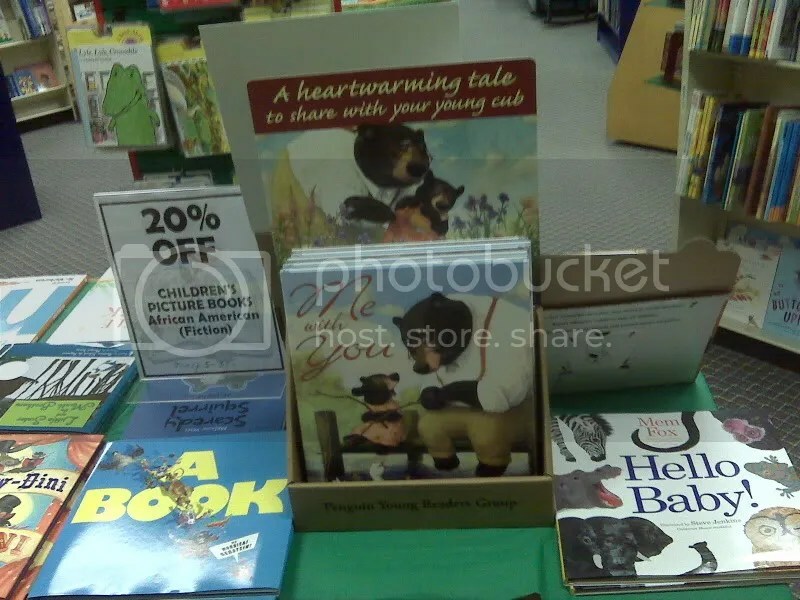 This one was at Quail Ridge Books in NC. Thanks to Laura Flynt Clum, Mom and Tim, Ed and Carol Hogan, Pamela Ross, Becky Gomez, and Kelly Starling Lyons for the pics! 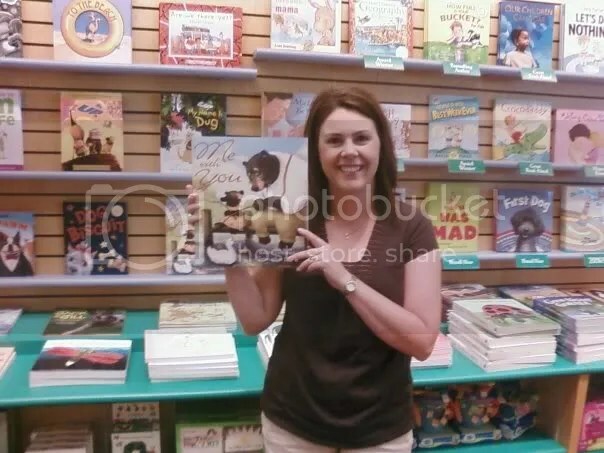 In other news, I blogged today at the Author’s Now website about what being 6,000 miles away from my first book’s debut has taught me about writing for children. Click here to read it. And please leave me a comment! 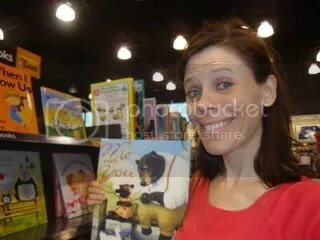 A Little Angel over my shoulder..
was at Barnes and Noble last night in Charlottesville and look what she found! Okay, and do you see that woman in the background with a stroller? (You can’t see her face so I feel okay about posting her picture without her consent.) 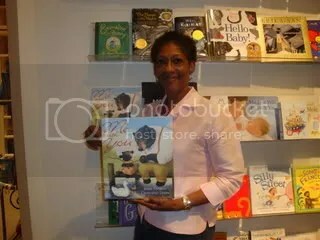 saw THAT WOMAN, someone we don’t even know, BUY A COPY of ME WITH YOU! 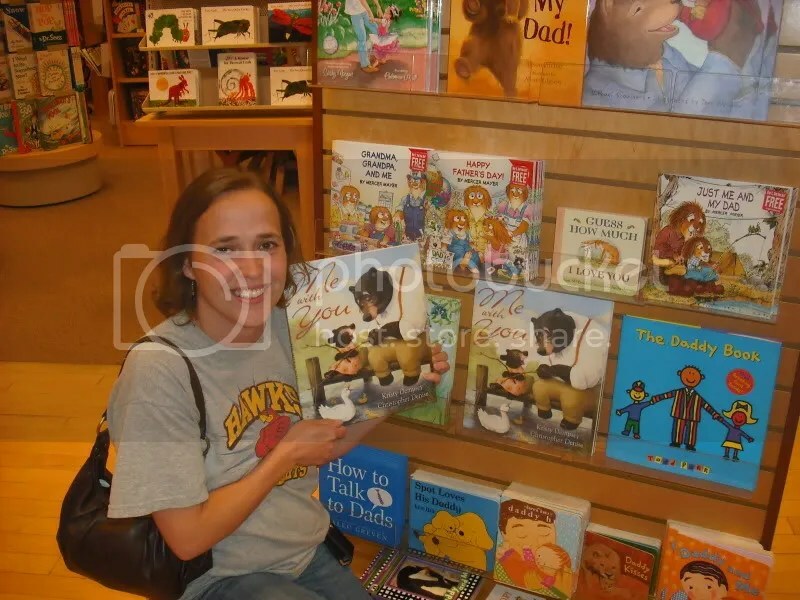 She just picked it up off the shelf and read it and then bought it! Whoo-hoo! 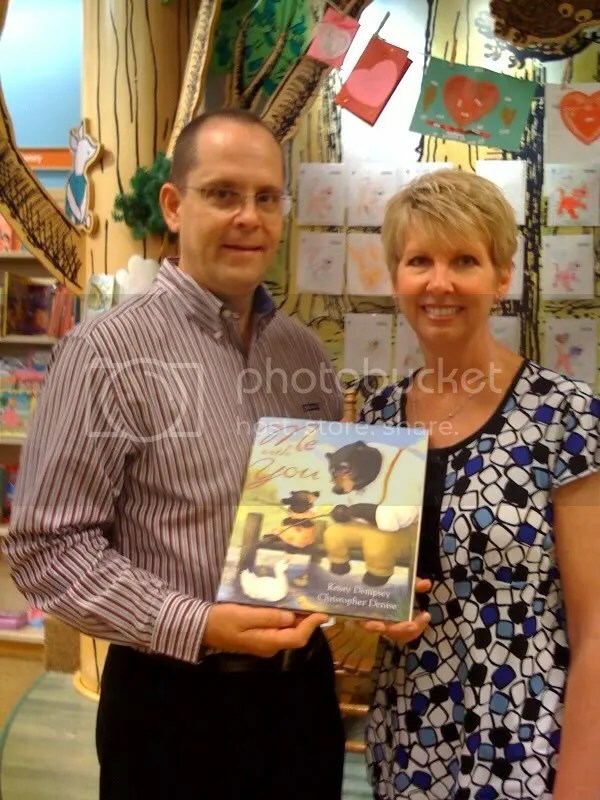 ME WITH YOU’s esteemed illustrator, Christopher Denise, is the guest for breakfast over at Jules’ and Eisha’s Seven Impossible Things Before Breakfast blog. And let me tell you, you are in for a treat. Not only can you study the beauty of spreads from ME WITH YOU (and some of the text), you can also study Chris’s process for other books, to the tune of 84 (!!!!) 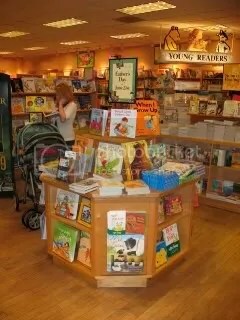 images.